What a bunch of scrap...: Some Odd Girl projects! Yay, time to share some more Copic coloring fun! 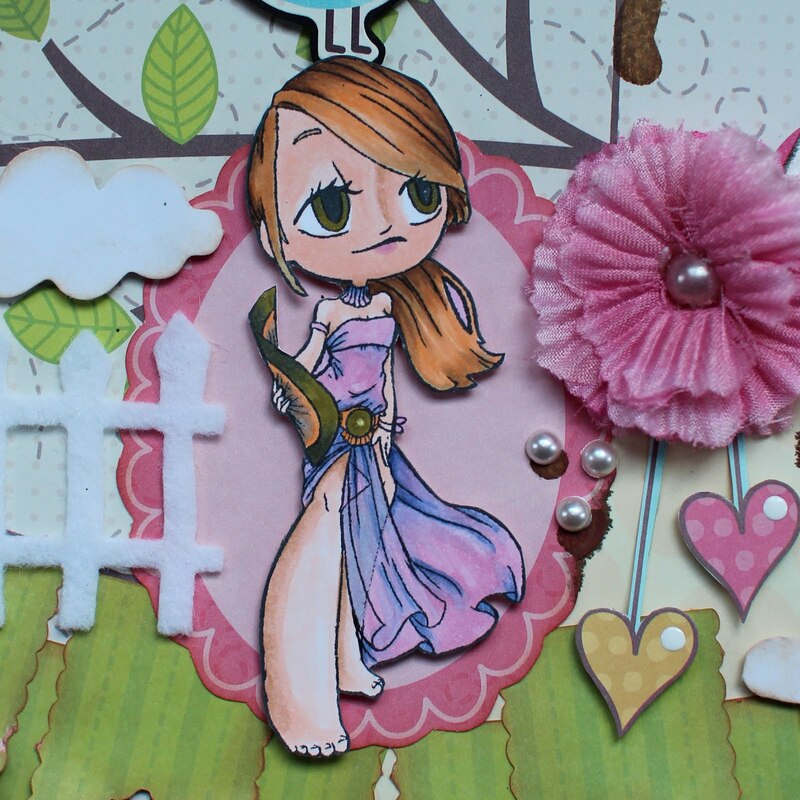 I love the Nouveau girls from Some Odd Girl stamps, and I used "Fan" stamp set for my projects this month. I know Copic-colored images are very popular for cards, and people sometimes use them for altered projects, and mini albums, and other such stuff. Well, this month, I thought it would be fun to use them on layouts! 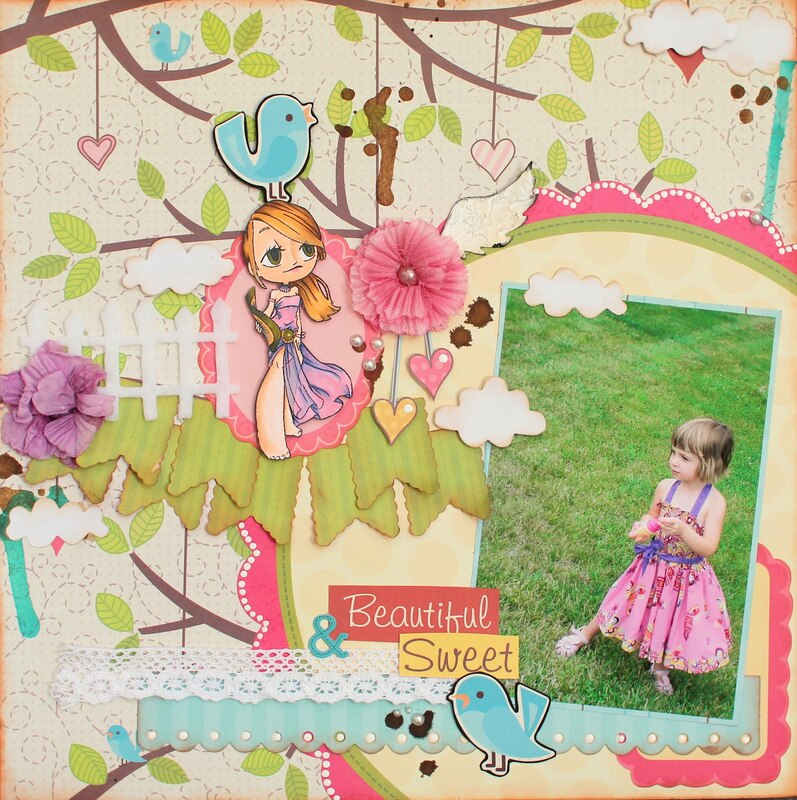 These little images can add so much to your pages, and the "Fan" stamp set was versatile enough to use on two very different layouts and enhance each in its own way. 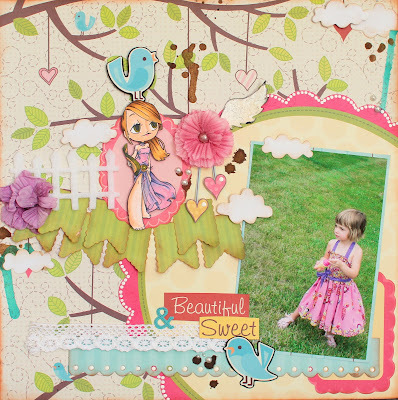 Take a look at how different the images look on each layout, just by using different colors to set the mood! 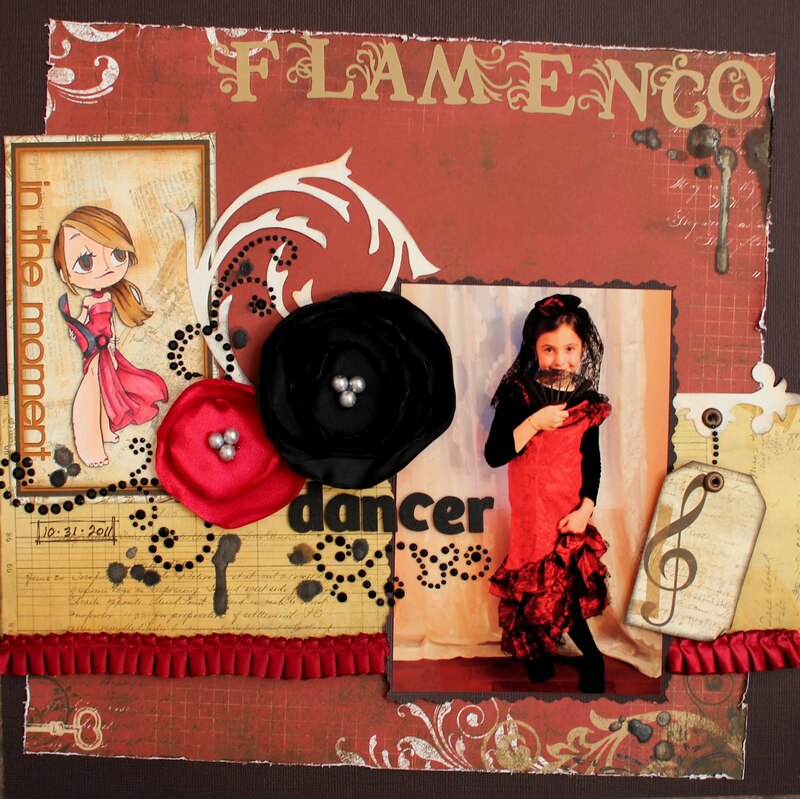 Here is "Fan" used on a LO of my daughter as a Flamenco Dancer this past Halloween. I used Bo Bunny "Timepiece" and "Et Cetera" collections. And here is "Fan" again, on a layout about Morgan again, from a few years ago. Here, I used the brand new release from My Little Shoebox "Up In The Trees".